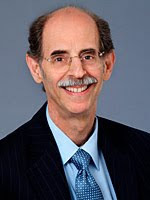 Our good friend, Dr. Benard Dreyer, Co-chair of the American Academy of Pediatrics Health Literacy Project Advisory Committee, and Professor of Pediatrics at NYU Langone Medical Center, speaks about the challenges of communicating information to parents and children in an article in the November, 2009 issue of the AAP News. The article explains that health literacy is "the ability of patients and parents to obtain, process, and understand basic health information and services needed to make appropriate decisions." It points out that sometimes pediatricians think that parents really understand what they are being told, when the truth turns out to be that the parents did not have a good understanding of diagnosis, instructions, or treatments. Dr. Dreyer is the editor of a supplement to the current issue of Pediatrics that presents extensive information on the issues surrounding health literacy throughout the country. An important question in the area of health literacy is how to share information with young patients. The kind of information shared with an eight year old would not be the same as that given to a teenager. The way in which information is shared is also important. Young patients, Dr. Dreyer recommends, should be able to "teach back" what they are told. And their parents should be able to explain their child's main problem and what they need to do about it and why. This will demonstrate that they truly understand what their pediatrician has wanted to share with them. We deal with the issue of effective communications all the time here at the Yellin Center. Students who complete our full assessment process join with their parents in a "demystification" at the end of the assesment day, where the preliminary findings of our team and initial learning strategies are explained in a manner designed to make sure they are understood by both parents and students. We have been delighted to hear of young children who have gone home after this demystification and shared the document we created especially for them with their teachers, and even their friends, to explain how they learn.